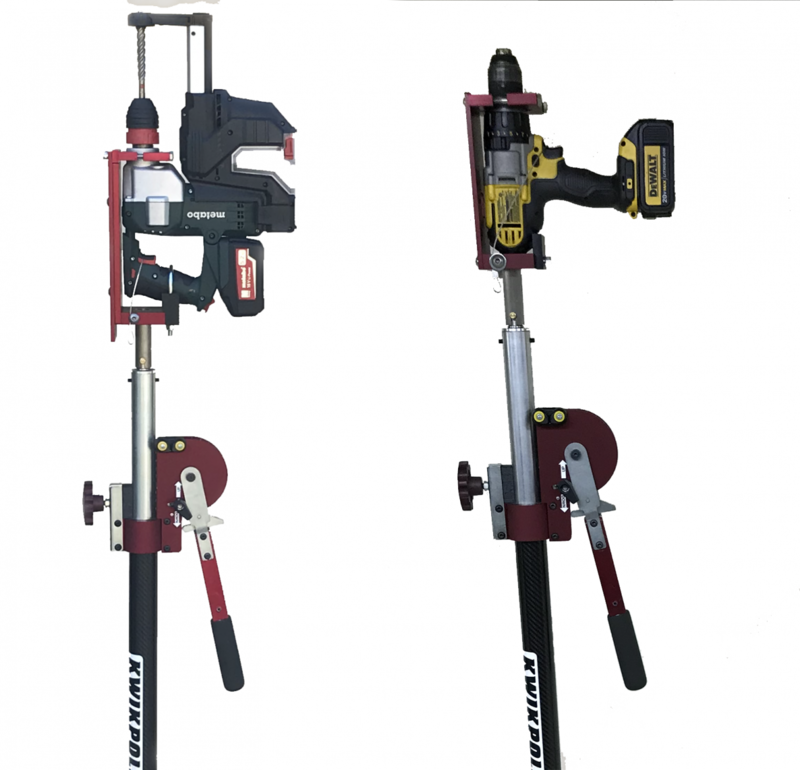 The KwikPole DrillPress telescopes to drill holes into concrete ceilings up to 10′-6″. You can drill straight vertical or at an angle. 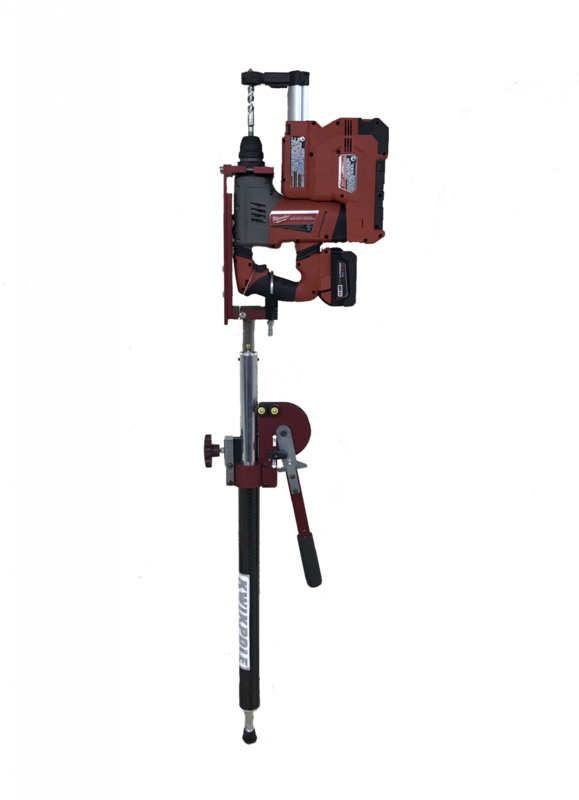 It works with SDS hammer drills for concrete, and cordless hand drills for metal or steel. With the saddle removed it stands less than 5′ tall and weighs around 12lbs easily fitting into a gang box or a vehicle.